PECONIC, Long Island (WABC) -- Police in Suffolk County arrested a man on Monday for having children in a house filled with sewage and garbage. 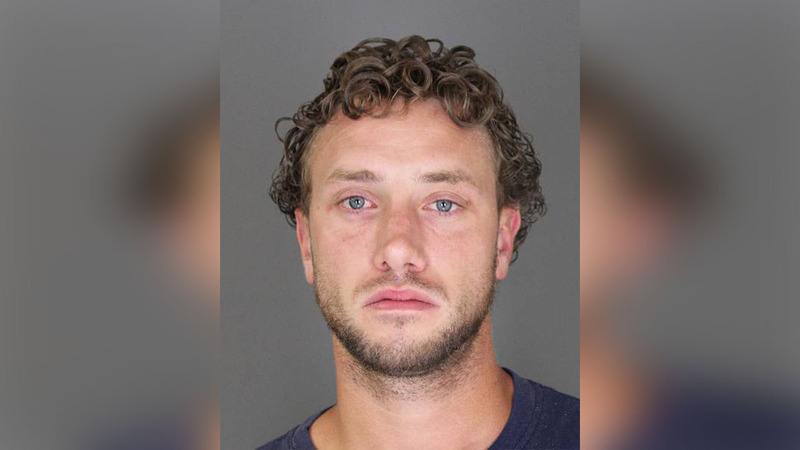 32-year-old Jeffrey Dobbins was found hiding in a store room in the home in Peconic, where he was staying with 31-year-old Jennifer Mays, in violation of an order of protection. When investigators entered the home on Henry's Lane, they found raw sewage flowing out of a toilet on the first floor, a week's worth of household garbage stored in a closet, and black mold growing on the first floor walls. A building inspector declared the house uninhabitable, and Child Protective services was called due to the fact Mays and her four children were living in the home. Mays and her children are currently staying with a relative. Dobbins was arraigned in court on Tuesday.